Earlier this year a 15-year-old boy was shot by a law enforcement officer because he had a gun. This wasn’t one of the highly publicized and politicized episodes that we have seen so much of this year, but it was another of the redundant and recurrent tragedies that stalk our city streets in America these days. Though undeniably tragic in any case, this incident would not have been seen as quite the tragedy it was had the gun in the boy’s possession been real instead of a carefully detailed toy replica of the real thing. The gun in the boy’s hand was harmless, until it was mistaken for being something that, in reality, it could only mimic. 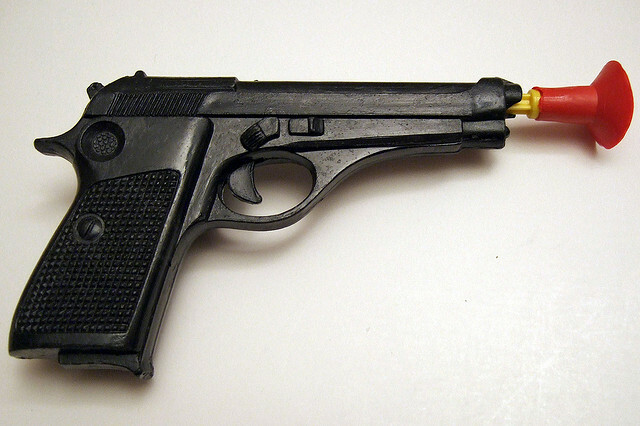 The toy posed no threat as long as it was clearly identified as a replica, and not the real thing, but when that distinction was blurred, disaster followed because the gun in the police officer’s hand was quite real. Reality is, at the very least, a perplexing and often frustrating phenomenon. It confronts us continually and we claim to embrace it, declaring that we want things to be the ‘genuine article’—only sometimes we don’t. We love imitations. We adore knock-offs. We cherish look-alikes and are quick to shell out our cash for ‘as-seen-on-TV’ reproductions. And that’s not all. We have a proven capacity to abandon reality altogether when it rises up to conflict with some coveted fantasy or threaten a cherished perspective. Our on-again, off-again romance with reality is continually threatened by our haunting fear of commitment. Philosophers have debated the characteristics of reality for centuries and argued over questions about its essence, and whether we have the power to change it – and if so, how, and to what extent? It seems that all of us secretly covet what our stage magicians appear to have, the power to determine what is or is not real by a mere gesture, or by uttering some magic words. If we bothered to pause for closer observation, we would discover that we already possess precisely what the magician has, that and no more. The magician is not endowed with some supernatural power. He has only his practiced visual and verbal dexterity and his little bag of tricks with which he attempts to fool people into thinking that reality has been altered. Most of us have been doing that in some way for years, but in spite of all the clever deceptions, sooner or later reality emerges intact and unscathed to claim the stage, because all our tricks have done nothing to expel reality’s presence or change its nature. Reality and truth share the same DNA. Perhaps that’s why a core definition of insanity is a mental state of being wherein one is divorced from reality. Insanity promotes an approach to life that is pragmatically unlivable. Its proclamations are untrue and its propositions unreliable because its perceptions have no basis in reality. Declaring a glass of milk to be a brick won’t allow you to build a wall with it no matter how convincing an argument you might craft with your words, or how emotionally connected you might feel toward your intentions. It’s worth noting as well that insanity isn’t the same as stupidity, though they may look quite similar at times. As a matter of fact, some very intelligent people have been thought to be insane, including the Apostle Paul. In presiding over a segment of Paul’s trial in Caesarea, King Agrippa said to him (paraphrasing), “Paul, it seems to me that you’ve been hanging around academia to the point that you’ve gone totally nuts” (Acts 26:24-25). Agrippa wasn’t suggesting that Paul had spent so much time in classrooms that he had become as stupid as box of rocks. What he was saying was that the things Paul affirmed to be true so profoundly conflicted with reality as the king believed it to be, that the only reasonable conclusion left to Agrippa was that Paul must have lost his capacity to distinguish between reality and fantasy. Similar conflicts and conclusions continue to be commonplace when we are confronted with a concept of reality that is incompatible with our accepted approach to life. For instance, thanks to the pervasive and nearly inescapable nature of the media these days, nearly all of us have heard the name, Rachel Dolezal. She’s the woman who was exposed for presenting herself to be of African-American descent when she really was not. After initially denying the racial realities established by her birth, she eventually declared that in spite of the fact that she was born to white parents, she chose to “identify” as black. The problem is that she did more than simply adopt that contradictory notion in her head. She transmitted her twisted version of reality to others, and proceeded to live out that lie for years. Ms. Dolezal isn’t alone in altering her image and lifestyle to act out the implications of a warped perception of reality. We’ve also been force-fed a verbal and visual tour-de-force of the proclaimed transition of Bruce Jenner from a male into a female. And these two are far from being the sole examples of this genre of imitation and illusion. We have assembled a veritable parade of people who are ‘cross-something or other’, or ‘trans’ this or that. Whether the targeted issue happens to be fashion, gender, race, sexual preference, acceptable diet options, or the impact of global warming on toenail fungus, it has become morbidly fascinating how many people are ready to jump in front of a camera to challenge physiological realities and traditional norms. Someone remarked recently, “We have changed the way people think.” No doubt we have, but whether our mental and psychological manipulations have changed reality is another question altogether, isn’t it? Making arbitrary declarations, usurping nomenclature, mimicking applications, and abducting definitions cannot reproduce the qualities inherent in the real thing. I refer again to the futility of building a wall with a glass of milk, regardless of how often we call it a brick. The transcendent One who created us is, always was, and will continue to be, the final arbiter in questions of truth and ultimate reality—thus determining what things are spiritually acceptable, pragmatically livable, and socially viable—sane, if you will. Whatever else Jesus of Nazareth was and is, He is undeniably and unalterably real. Reality and truth do share the same DNA. It’s a family trait He’s happy to share, and it carries with it a cure for insanity. This entry was posted in Faith, Family, and Culture, In the News, Insights, Right Side Up and tagged Rachel Dolezal, Reality, Truth. Bookmark the permalink.